BP Aero will be the host sponsor of the Aero Engine Americas conference occurring on January 29-30, 2019 in Dallas, Texas. The conference has been growing over the past years to over 400 attendees. Attendees include airlines, OEM’s, leasing companies and independent Maintenance Repair & Overhaul (MRO) providers. The conference is an excellent forum to discuss current and future drivers in commercial engine maintenance needs. BP Aero is pleased to be the host sponsor for the event. Along with the conference reception, BP Aero will host a tour of their facilities. BP Aero is a full service aviation solutions provider specializing in engine teardown, engine part overhaul, accessory overhaul, lease returns and engine hospital shop repairs. Certificated by the FAA, EASA and CAAC and OEM licensed on our product offerings allows us to provide customized solutions to our valued customers. Engine teardown customers benefit from our engine part overhaul capabilities. 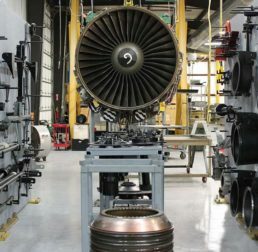 Lessors and airlines have options regarding storage & lease returns, borescope inspection, preservation, minor engine repair workscopes, engine disassembly and engine part overhaul. Special processes including plasma/HVOF spray, vacuum heat treat, waterjet stripping, welding, machining, shot peen and balancing along with FPI, MPI, CMM measuring, pressure testing and sensor testing allow for overhaul of a wide range of engine parts. These processes are often required for complex part overhaul but also compliment BP Aero’s engine repair workscopes allowing BP to minimize the amount of outsourcing that otherwise would be required. Ten engine bays and 50,000 square feet of storage space provides ample capacity to our engine customers. The facilities include 3 buildings with a combined foot print of 150,000 square feet, conveniently located near the DFW International airport.